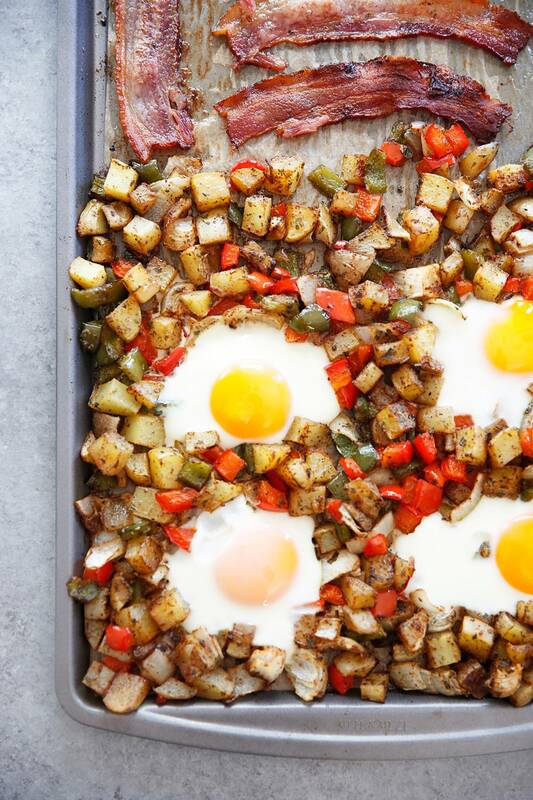 This Sheet Pan Classic Breakfast is made up of Eggs, Bacon, & Home Fries and comes together in a pinch and made using only ONE PAN. It’s a great one pan breakfast bake that is perfect for a weekend brunch or breakfast to feed a crowd with little to no mess! We are so excited to kick off this sheet pan series! Each Wednesday for the next few weeks we will be sharing sheet pan meals that are simple to make and packed with flavor. We love sheet pan recipes for so many reasons: they’re easy to prepare and easy to clean. 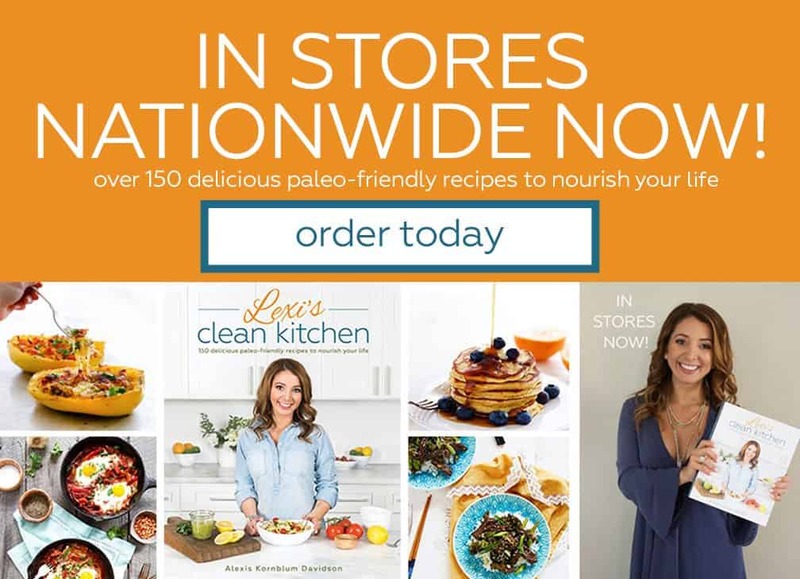 When creating this series our main goal was to always have a meal packed with flavor while also being hands-off to give you a little extra time in your life. 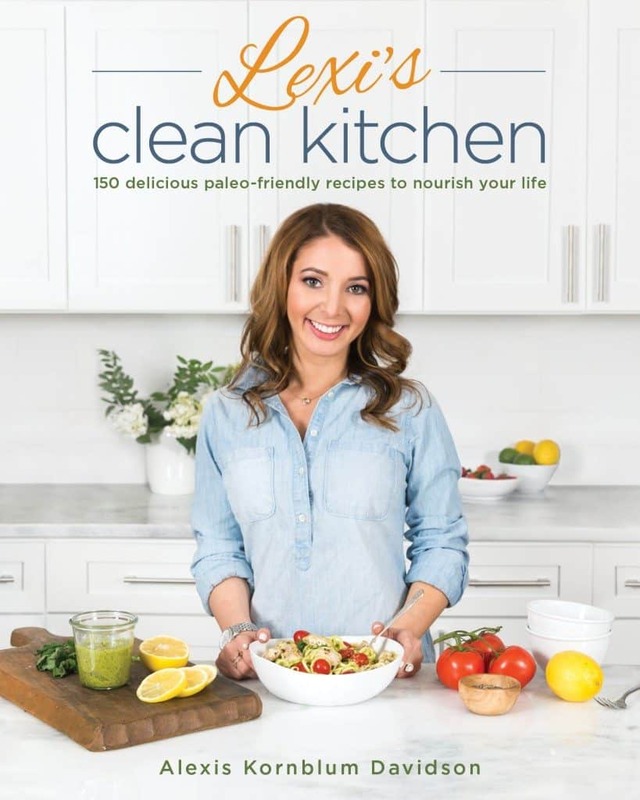 Yes, there are a few steps to follow in these recipes, but aside from mixing a few ingredients together or chopping a few vegetables the cooking process is mostly hands-off! Check out the tips below to make sheet pan cooking a breeze. Making a full on brunch spread on a sheet pan allows for a more relaxing morning before guests arrive, and if cooking for a crowd, it will certainly be way more efficient. You can easily double the recipe to use two sheet pans and create a full meal for 8 people without breaking a sweat. And you can even enjoy that mimosa while you’re at it! Read the recipe all the way through (of course) and plan to use a timer! Most recipes require different cooking times, so make sure to use a timer so you can truly walk away from the oven and not have to worry about when you are adding anything in to the oven. Do the prep ahead of time: Cut vegetables, make sauce or mix spices the night ahead of time if you are looking to speed up the process. Wondering how to get FREE bacon? P.S. It’s sugar-free/whole30 approved bacon! I always add a few extra in the add-ons to my box! 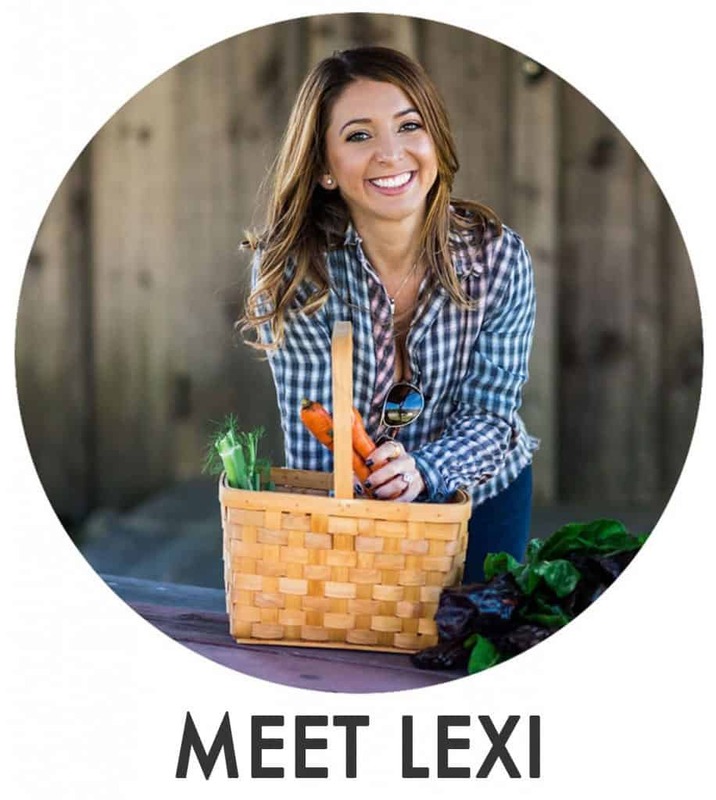 Each month, ButcherBox curates a one-of-a-kind selection of the healthiest, tastiest meats, humanely raised and free of antibiotics and hormones. Or you can customize your box and select your favorite cuts and get 20% more meat.The price works out to less than $6.00/meal and shipping is always free. You can also space it out so it’s not every 4 weeks, too! Enjoy the best 100% grass-fed and grass-finished filet mignons, plus get tasty uncured, sugar and nitrate free bacon & $10 off your first ButcherBox! ButcherBox delivers your meat for the month, saves you money, and is the best quality! Order Your First Box Today and get this deal!! Pre-heat oven to 400ºF and line a rimmed baking sheet with parchment paper. In a large bowl combine diced potato, bell pepper, onion, avocado oil, and spices. Toss to combine and pour onto a rimmed baking sheet. Remove pan and move vegetable mixture to one side of the pan. Add bacon in strips to the other side and return to oven for 12 minutes. Remove from oven and move bacon to the side. Move the hash brown mixture around with excess bacon fat to get the potatoes nice and crisp. Move potatoes back to the side and create four small divots in potatoes to crack the eggs. Crack eggs in the divots and return to oven to bake for 8-10 minutes. Bake until eggs are cooked for desired texture. 8 minutes are soft runny yellow yolks or 10 minutes for more fully baked eggs. Plate the hash browns and eggs on to a plate and briefly drain the bacon of excess fat on paper towel before plating and serving. Salt and pepper to taste (but taste first as the bacon does add salt to the dish). We only use a small amount of oil here to help the vegetables cook because the bacon will release fat that we will use to crisp up the hash browns later. The bacon releases a lot of salt, which is mixed in with the hash browns so make sure to cook the recipe through and then taste and add salt (and pepper) then. Ohhh momma, this looks amazing! 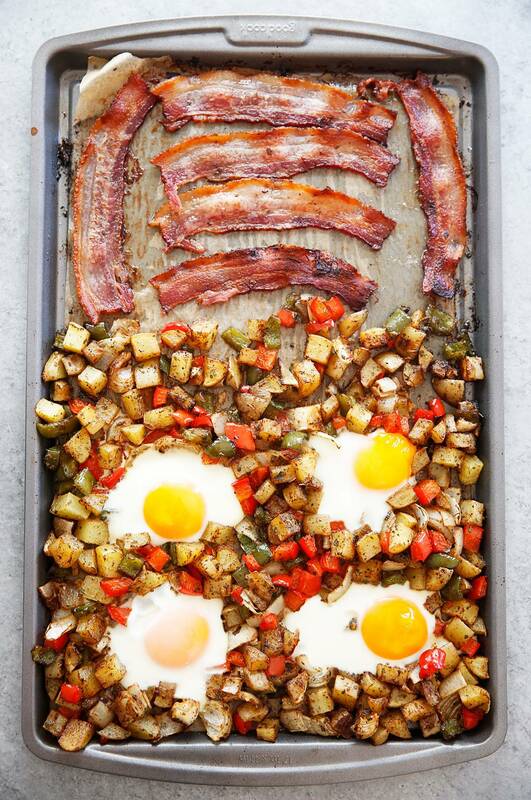 I’m on team savory breakfast and love the idea of making a big sheet pan breakfast to share with guests. Beautifully done, m’dear! I can’t wait to try this on the weekend!!! This might just be the easiest breakfast cleanup ever!!! Lovely! I love tray baking! What do you recommend for storing leftovers? Or is this more of a meal that needs to be eaten immediately? I can’t wait to try it. How do you recommend storing leftovers? Or is this meal best eaten right away? Cant wait to try it! oww, this recipe looks exquisite. Thank you for this excellent recipe, I will try. Wow! 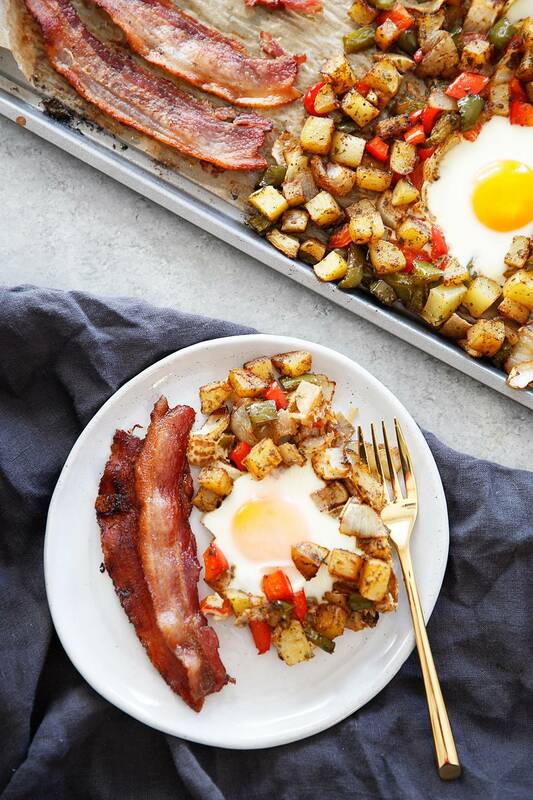 I have never made a sheet pan breakfast before! It was delicious! This is definitely a keeper for weekend breakfasts only because it takes a while. But so worth it! Thank you Lexi for sharing!